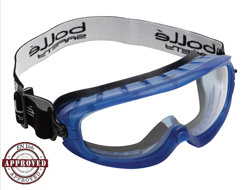 To be regarded as a 'Safety Goggle' they must provide protection against chemical and other airborne hazards where standard safety glasses cannot. 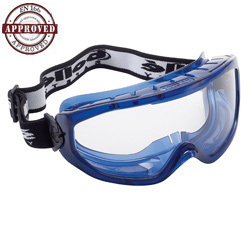 The specifications of each model vary in terms of the protection given but the general principle is a full seal around the eye protecting against splashing, dust and gases. 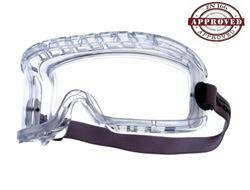 Most safety goggles can also be worn over the top of standard prescription eye glasses. 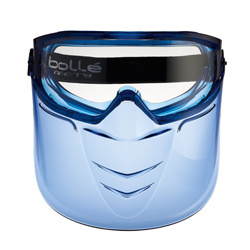 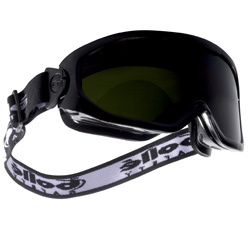 The strongest ballistic goggle on the market, the Bolle x1000 incorporates all the advanced features together. 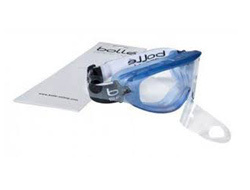 Available as single or dual lens with an RX option to fit over the top of existing prescription glasses. 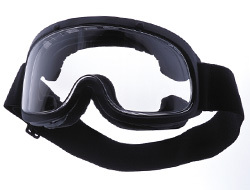 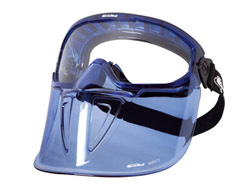 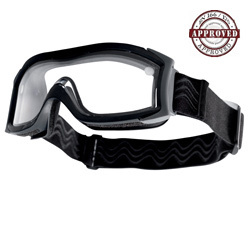 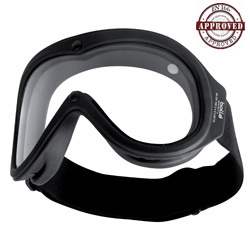 A low-profile goggle with ultra ventilation. 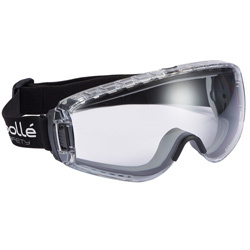 The ballistic lens sits right off the frame to provide maximum anti-mist properties for humid environments. 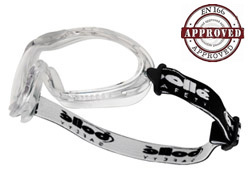 Strap pivots also make them suitable for use with helmets. 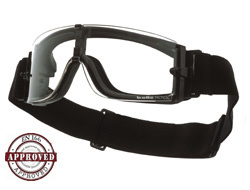 Although not our lightest model, the x500 is extremely versatile. 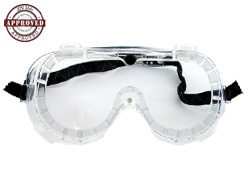 As standard they come with a dual lens, anti-fog coatings and can be worn over small prescription glasses. 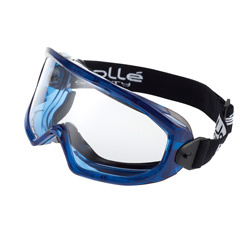 They are also the most comfortable model and can be worn for long periods.